Being evil this time around has its benefits. Yesterday at Gamescom, Lionhead Studios and Microsoft revealed their newest title in the Fable series, Fable Legends. From the look of things, this sequel will feature a very different co-op experience never seen before from the previous games. Much like the previous Fable titles, players will return to the mystical world of Albion to, but this time with the added opportunity to bring up to four other online friends along for the ride (three AI characters will follow along when playing alone). Fable Legends will allow players to level up their characters however they want, be it through swordplay, archery, or arcane magic, you name it (think Skyrim with its customization features). All the good stuff Fable is known for, like questing, monster slaying, looting, and character upgrading will still be present, however, a whole new twist to the “morality” system has been introduced. 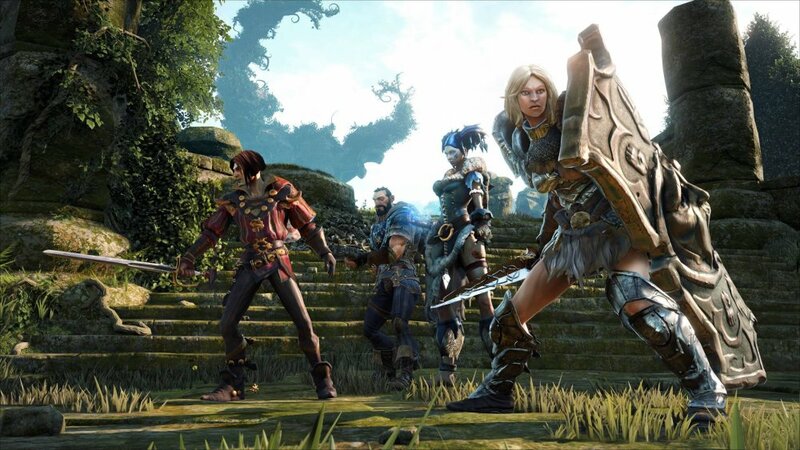 Along with the enhanced co-op, Fable Legends introduces a revamped “morality” system where up to four players play as the Heroes, while the fifth can assume the role of a Villain mastermind out to destroy them. This has the fifth player controlling armies of unique minions to battle the Heroes, set traps, and gain experience/gold. These minions will all have different abilities to discover and utilize, so carefully planning and strategizing comes with being the bad guy; this is where Xbox SmartGlass will come into play. Using a smartphone or tablet, the Villian can wage his war in almost an RTS style against the heroes, while the Heroes can use it to view their quests, progress, and more. Thus far, we’re more than curious to know more about how this mode will work for couch co-op. Fable Legends will be an Xbox One exclusive title, arriving sometime in 2014. Page created in 0.2672 seconds.